Our members back entrepreneurs and their companies by contributing investment capital and important domain expertise in a wide array of industries. During our investment process, many factors are considered such as strength of the management team, growth prospects, competitive dynamics within the market addressed, and the business model. After LVAI receives an Executive Summary that satisfies the application requirements, a representative of LVAI will review the material and present it to our Steering Committee. Based on the Executive Summary and any follow-up preliminary due diligence, the entrepreneur may be invited to present at one of the membership meetings. LVAI generally holds a monthly general membership meeting. At each membership meeting, one or two companies are invited to make a 50-60 minute presentation. The general structure of the entrepreneur presentations usually consists of an initial 20 -40 minute company overview/pitch, followed by a time of Q&A. Topics covered in both the initial and Q&A portions of the presentation often include: management introductions, investment terms and exit strategy, company overview, product/service, industry overview, competitor analysis, marketing plan, historical performance, financial projections, requested capital, and expected usage of that capital. At the conclusion of the presentation, the entrepreneur is excused and the members privately discuss the proposal. 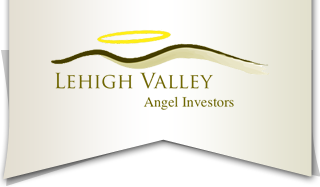 Entrepreneurs are advised generally within a couple days of LVAI’s further interest. If membership decides the prospect warrants further attention, a Lead Manager is assigned to work with the entrepreneur. The Lead Manager performs due diligence, conducts valuation, communicates with other members, negotiates a transaction and, if an investment is made, serve as the ongoing point of contact. Due diligence includes, but is not limited to, review and analysis of the company’s Business Model, Target Market, Strategy, Technology, Management Team, Existing Advisors and Current Investors, Financial Status, Projections, Term Sheet and Exit Scenarios. LVAI members who wish to participate in an investment generally create a new limited liability company for purposes of that investment. The form of the investment by the LVAI LLC is negotiated with the company and may include such instruments as convertible notes, preferred stock, loans and others. Following an investment, the company will be requested to report on its business status on a quarterly basis (within 30 days of close of calendar quarter). The company may provide D&O insurance and/or full indemnification of directors in cases where a LVAI member is serving on the board.